By Jake Rocheleau in Toolkit. Updated on November 26, 2017 . The Pantone color matching system defines specific values for colors made by Pantone. These colors are mostly used for physical decorating and print matching but they can work just as well digitally. Still, it’s a tough job matching the exact hex code for each Pantone color. And, thanks to this free web app you can find hex codes at the click of a button. This free tool is absolutely massive listing the whole 2,300+ Pantone color library in one place. They’re organized by hue, so you can browse to find what you’re looking for, then click to copy the hex code automatically. You can also CTRL+F to search by name for whatever color you need. As you can imagine, the page is very long and filled with a ton of color options. This tool isn’t great as a color picker since it’s not meant to organize colors into schemes. However, once you already know what colors you’re using, this can help you match certain colors to Pantone names, or select Pantone colors and get them working digitally. The entire web app is free and open-sourced on GitHub if you wanna take a look. Note that Pantone’s library can change since they have a few different styles now, and most of these are geared towards printing or painting. 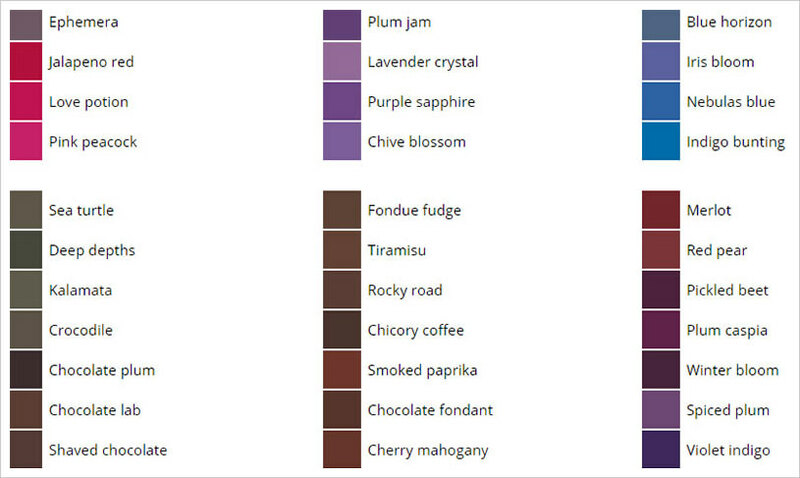 But, this web app considers all the major Pantone shades, so it’s one of the more complete collections you’ll find. This app specifically pulls colors from the Fashion, Home + Interiors collection (TCX/TPG). 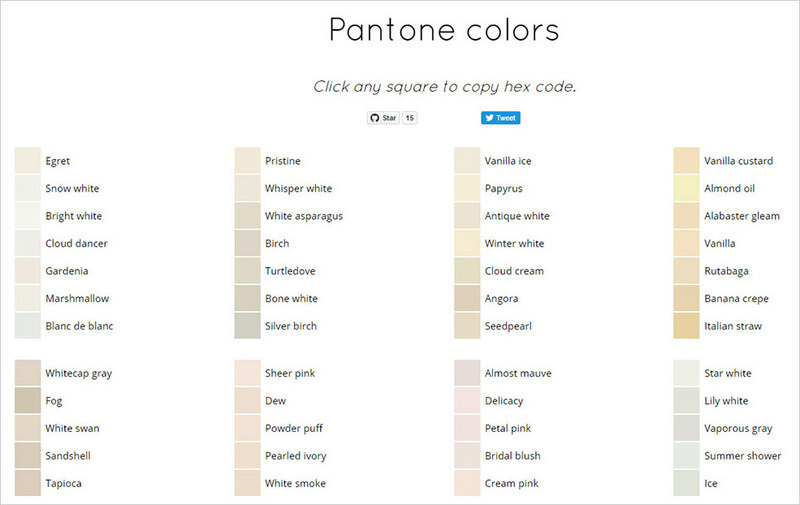 All of this info is available on the Pantone website but why not save time and use this web app instead? If you’re moving from a print product to a digital screen this Pantone color picker will prove incredibly valuable. You can even download the source code directly and host a copy on your own server, or keep one local on your computer. Handy for those rare times when you don’t have Internet access! And, if you have any questions or suggestions you could always message the creator on her Twitter account @23_jumi.